Last night was a very cold Halloween so we carted our very small but wonderful portable metal fire pit out around to the front of the house and made a big fire to keep us warm as we sat out and gave out candy. 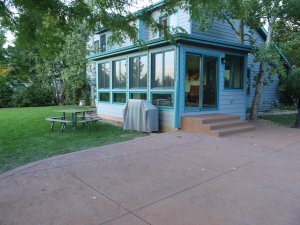 My husband, not knowing all the beautiful jobs I write about every day, was wishing our portable outdoor dream environment could somehow have a big screen TV. 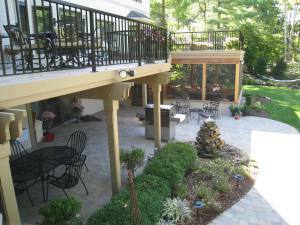 He mused about how nice it would be to have a permanent outdoor room. 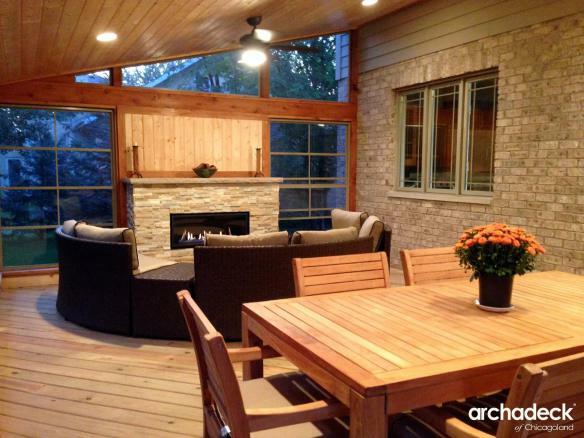 Although the portable fire pit does make for one nice evening, an outdoor room is what’s needed to enjoy many evenings outdoors. 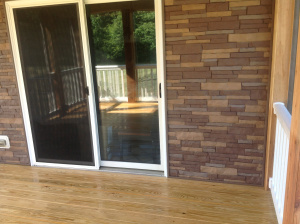 Our Archadeck location in Charlotte just finished building a screened porch over a deck. Here is a quick video overview of the project. 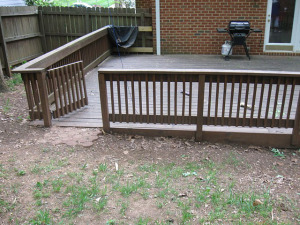 This house in Charlotte had an existing deck that needed to be torn down. The homeowner knew they wanted a screened porch with an outdoor fireplace. 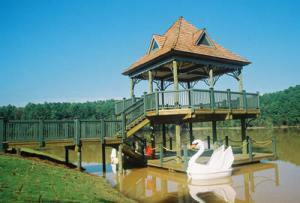 They also knew they had some drainage issues that they needed addressed during the build. 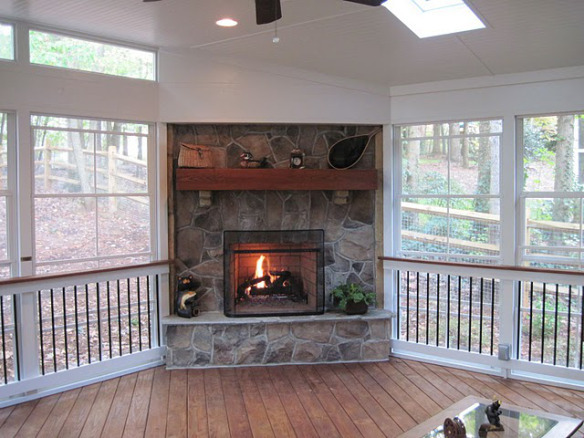 Archadeck of Charlotte proposed a screened porch with a corner fireplace and Eze-Breeze windows. 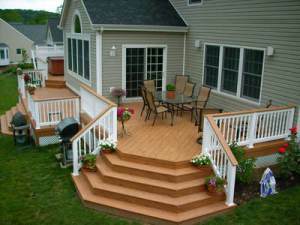 You can see that part of the design was also to build an extended portion of the deck that was open. 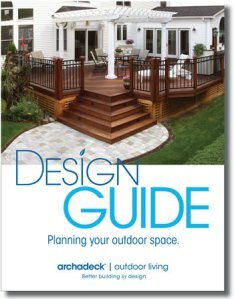 When building an outdoor living space, that’s precisely the time to explore creating a space with multiple “rooms” or multiple unique living areas. 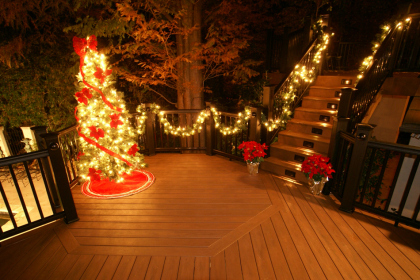 This can be accomplished by having a portion of the deck or patio covered. 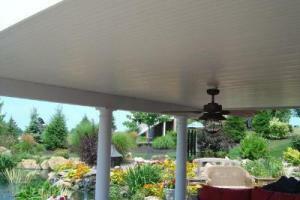 It can be done by having a portion of the deck screened in. 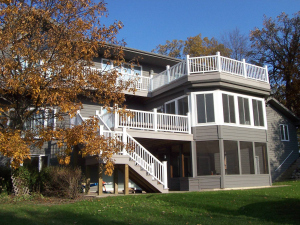 It can even be accomplished with multi-level decks and patios. 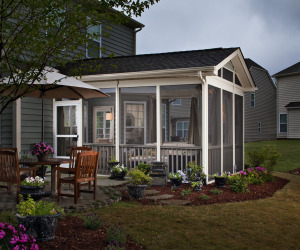 Just the same way different members of your family have their own favorite room of the house, this allows multiple outside living areas for different pursuits. 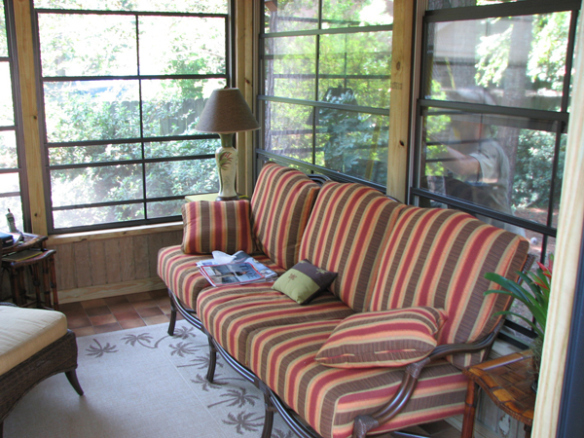 Here is another after picture from inside the screened porch. 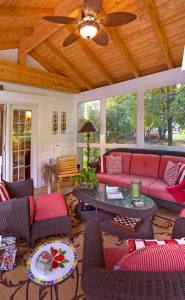 This screened porch is a nice generous size – 17′ × 19′. 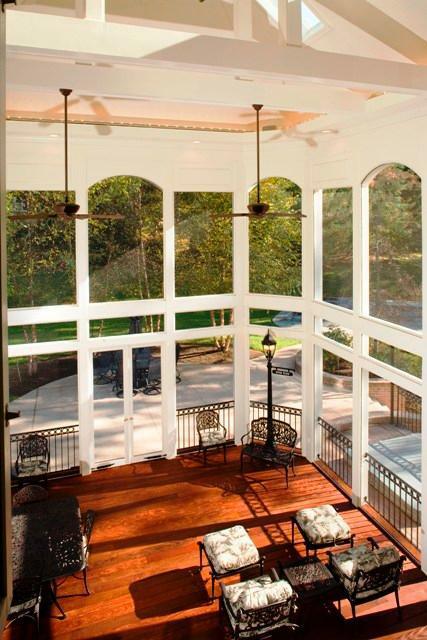 There’s plenty of room for furniture and to still have some open floor space. 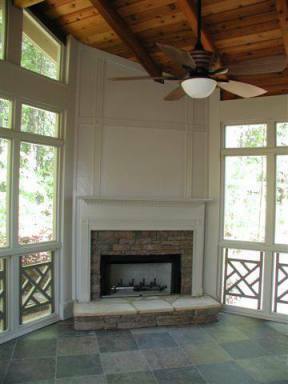 The fireplace is a functioning gas fireplace. 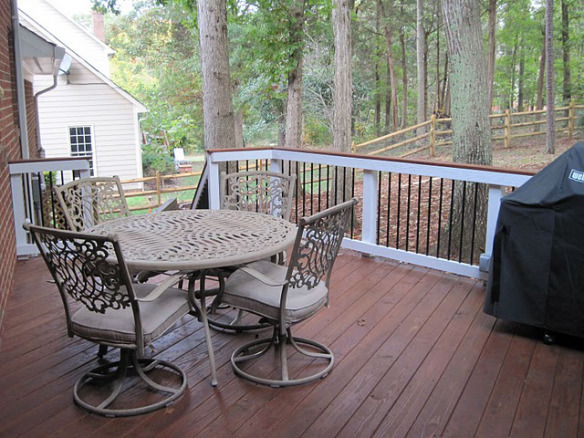 Here is an image of the second section of the deck which is the uncovered section. 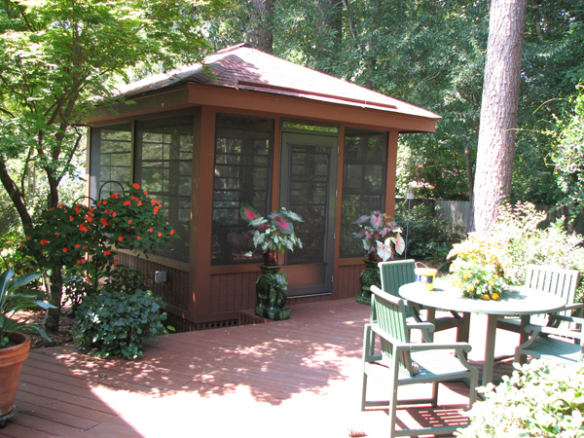 Again, this area is large enough to easily accommodate furniture and still provide walking and other room. 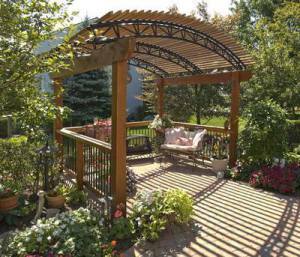 As I mentioned before, the client was concerned about the slope of his backyard. Archadeck installed some drainage counter-measures to make sure the rain didn’t rush against the house. 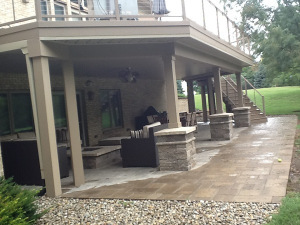 They installed a catch basin and drain tile to work in concert with river stone placed under the deck and porch. 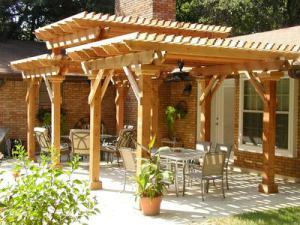 When looking for a builder for your next outdoor project, it’s important to have them explore all of these different ideas and considerations with you. Tell them how you want to live and if you have concerns about things like drainage. 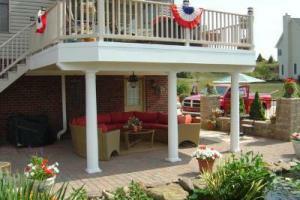 A good builder should be able to explain the choices of materials and give you the pros and cons. They should be able to come up with creative ideas you might not have thought of as well as create to the specifications that are important to you. 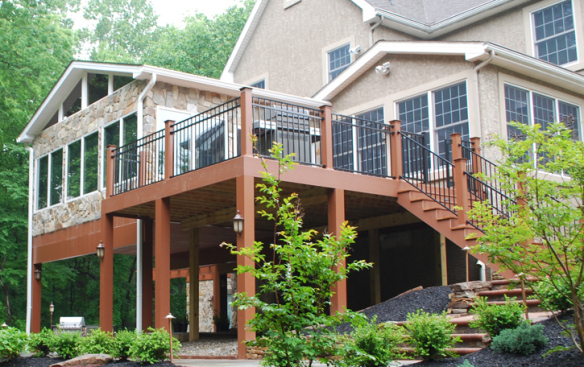 In Charlotte, you can call Archadeck at (704) 944 – 1350. 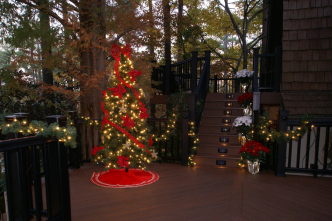 You can visit the Archadeck of Charlotte website here or read their blog here. 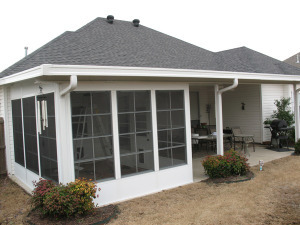 How about a detached screen porch? 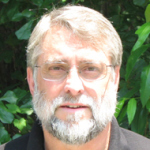 When Clyde Hess of Archadeck of Charleston SC met his client, they were exasperated. 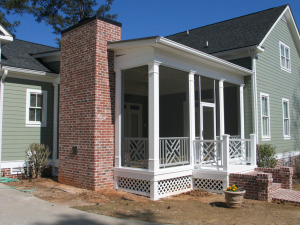 They were told by four other contractors that a screen porch could not be permitted on their property. 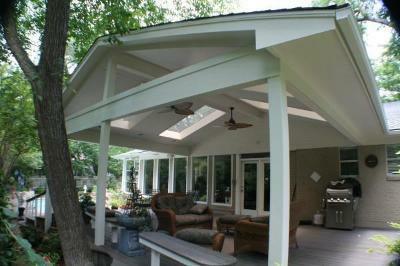 So Clyde suggested a detached screen porch. Perfect! 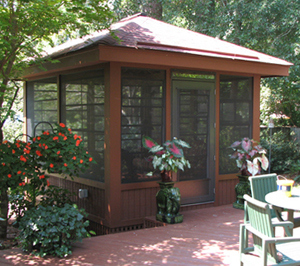 Although the screen porch is detached from the house, the homeowner sometimes enjoys sleeping there at night. 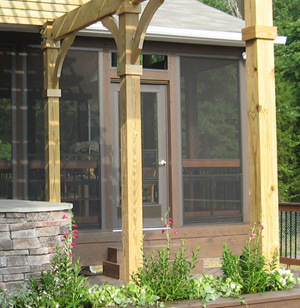 The Archadeck office in Charleston also builds attached screen porches, elevated attached screen porches, sunrooms, decks and much more. 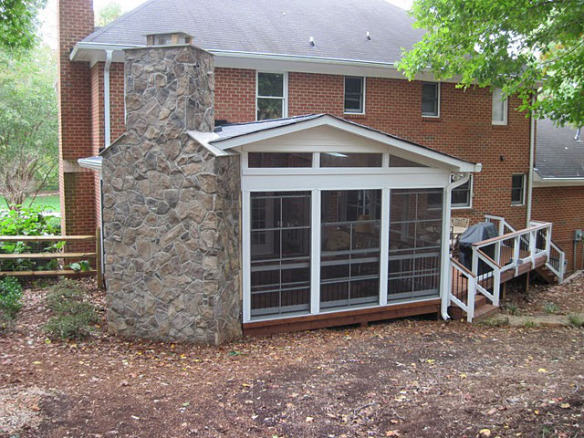 Let us know if you’ve found a creative way to get your outdoor structure through the permitting process like Clyde did. Add a comment below. 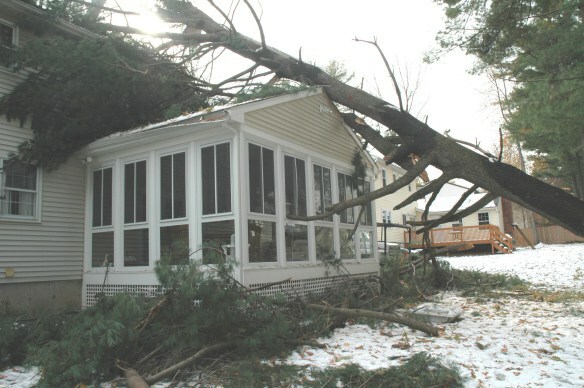 Inside, outside, or upside down? 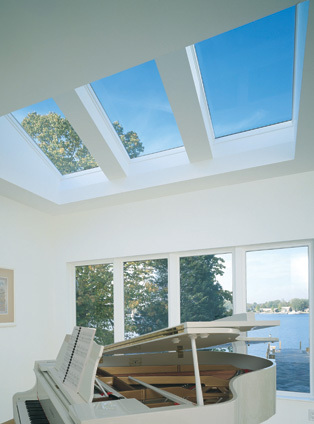 How does your interior extend to your exterior? 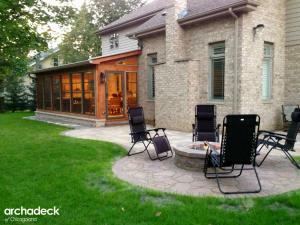 I was recently reading a great article from John Buenneke of Archadeck of Hennepin County, MN. 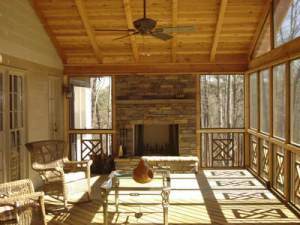 I would have thought that the decision as to whether to build a deck, screen porch, or sun room would be an easy decision. 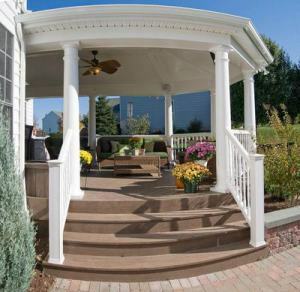 I would picture myself enjoying additional living space in my home. 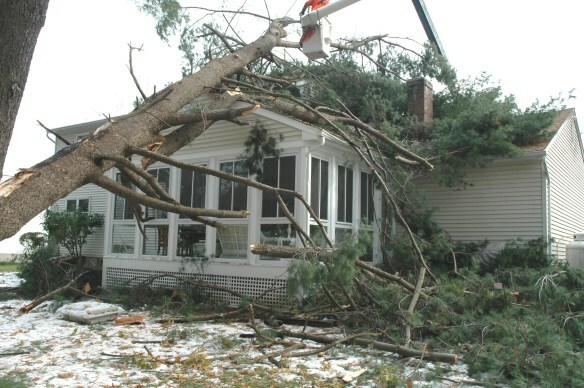 If I close my eyes, I can see my doing yoga upside down on my yoga mat in the middle of my 3-season room in the middle of the winter. If I close them again, I can see myself lingering over a glass of wine on my screen porch while my husband finishes grilling the dinner outside on the deck. If I close them again, I can see having my June book club on some cozy built in window benches with beautiful fluffy soft cushions and throw pillows in my 3-season room. And I can totally see my kids and all their friends roasting marshmallows on my back deck after a rousing game of flashlight tag. 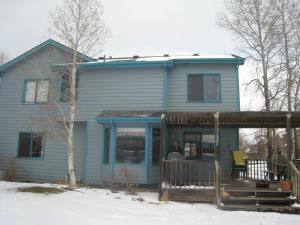 John contends that there are other considerations to contend with including how will this structure blend into your home and will it look “added on” or like a natural part of your home. After reading John’s article on screened porches and decks, I think I would prefer a screened porch with adjoining deck. Or, perhaps it’s the lingering picture of the lingering glass of wine while DH finishes grilled lamb chops, skewered fresh vegetables, and skewered marinated shrimp on the barby. 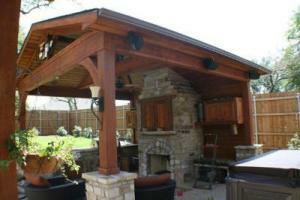 Cost is a consideration also but adding to our living space will have tremendous ROI when the housing market rebounds. 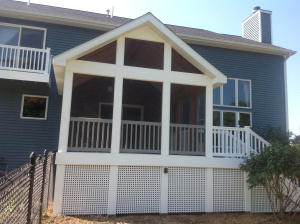 Of course if we have as much fun with our new larger living area, we may never want to sell. That’s ok too. 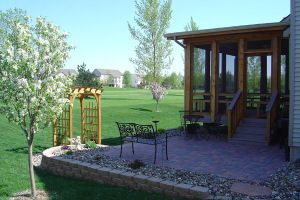 As always, when planning for outdoor time in the summer in Minnesota, don’t forget about spraying to keep away those Minnesota mosquitoes, ticks, fleas and other pests. !